JUNGKOOK's abs flash was selected as one of the best scenes in 2018 Billboard Music Awards. Billboard on May 21 (KST) released 'The 13 Best Moments From the 2018 Billboard Music Awards', and 'Jungkook's abs flash' was chosen as the one. As the 14th performer among 15 groups at the Billboard stage, BTS successfully debuted their comeback title song FAKE LOVE of third full album LOVE YOURSELF 轉 ‘Tear’ released on May 18. Billboard reported, "It was no secret that BTS' performance was one of the most (if not the most) awaited of the night, and they absolutely blew expectations out of their high-energy debut of "Fake Love". 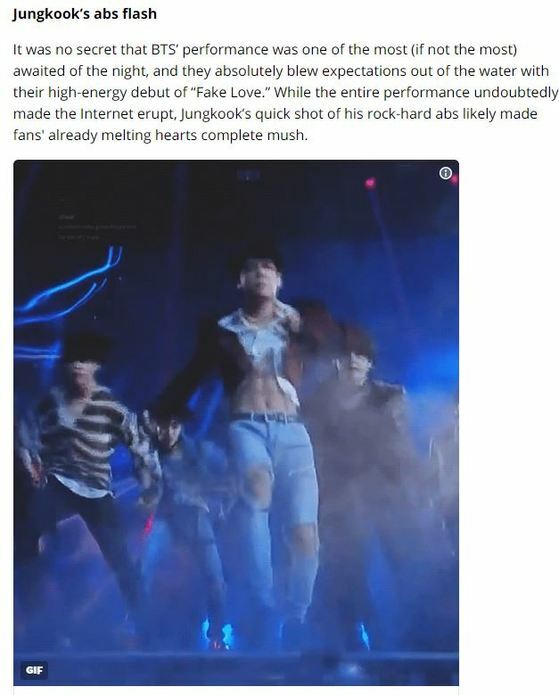 Billboard further stated "While the entire performance undoubtedly made the Internet erupt, Jungkook's quick shot of his rock-hard abs likely made fans' already melting hearts complete mush" and attached a short video clip that ARMY posted on Twitter. This fan edited JUNGKOOK's abs-revealing dance move, quoting "Thank you JUNGKOOK". 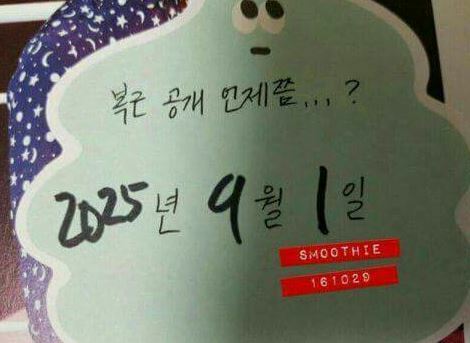 Previously in 2016, JUNGKOOK answered his fan that he will reveal his abs on September 1, 2025, his birthday in a distant future but the reason he opened his abs on Billboard was to keep his promise with fans.